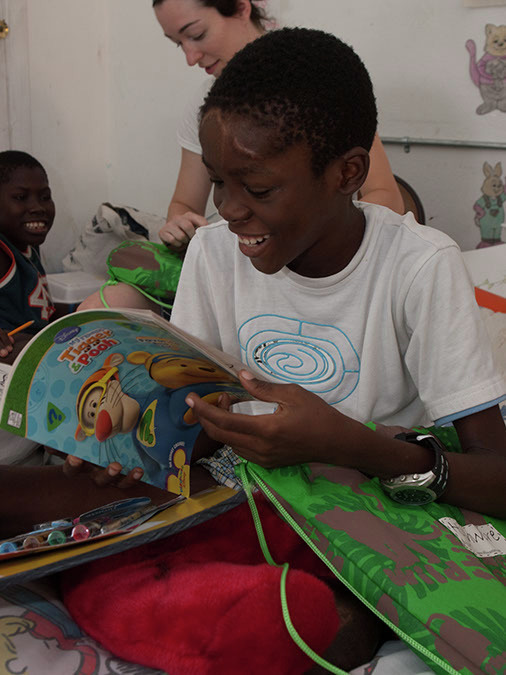 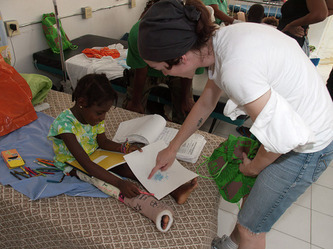 Loaded down with art kit backpacks and quilts (Threading Hope) I flew out to Port au Prince, Haiti. 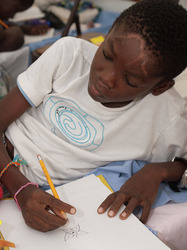 I worked with the children in the pediatrics unit at Medishare hospital. 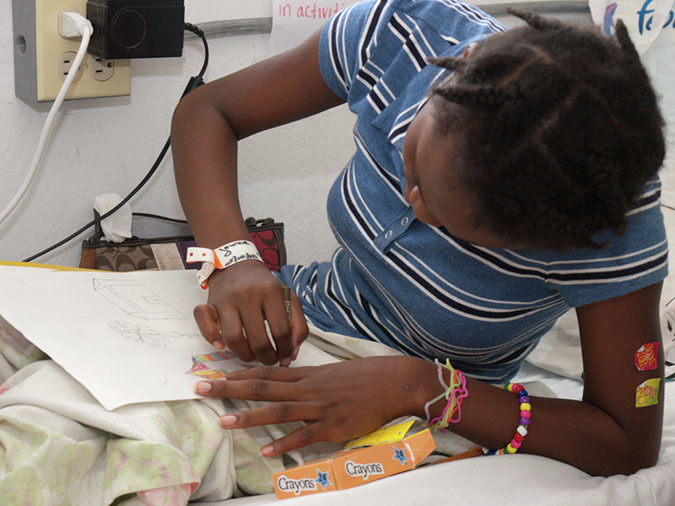 I went back twice to visit different children, there are only 8-10 beds. 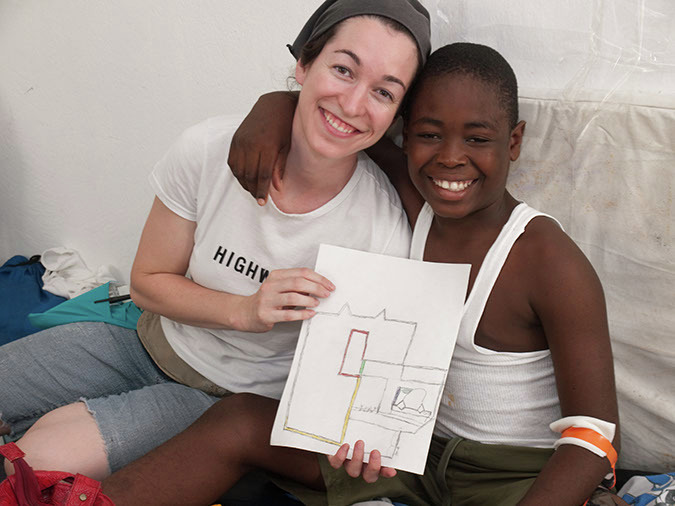 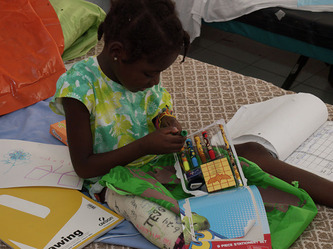 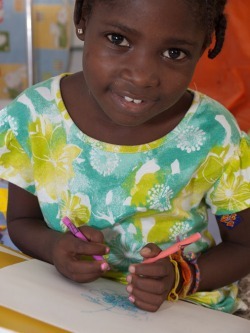 Some of the children were still recovering from the earthquake injuries (January’s earthquake that devastated Haiti), others were in for unrelated injuries, and some so very ill that I was only able to give there family an art kit as they were too ill to do a lesson. So they will have a fun bag with supplies once they are feeling better. 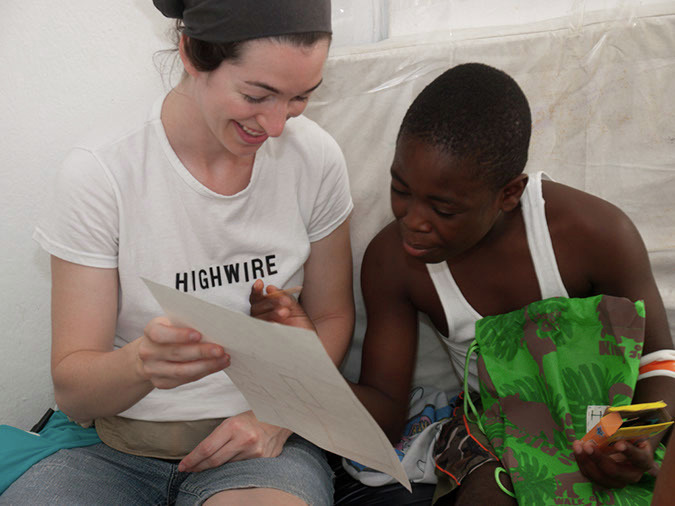 Each Highwire backpack was loaded with a box of crayons, scissors, pencils, sharpeners, markers, Strathmore drawing pad, and spiral notebooks. 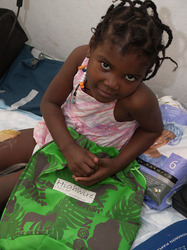 They were so excited when I would write their name on the bag and let them know everything in the bag is theirs to keep. 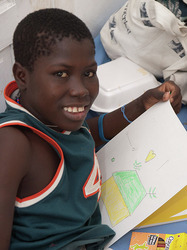 It was wonderful to be a part of the smiles that appeared with the creation of inspiration, color and paper! 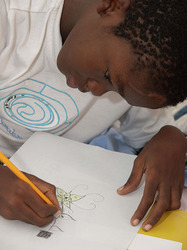 The children were guided to draw things that bring them joy, what makes them smile, what makes them happy and things that they dream/hope for. Some of the drawings were of flowers, brightly colored tents, houses, and cars with roofs (so you don’t get wet when in the car).